Posted by Aimee Malmberg on Thursday, September 20th, 2018 at 10:10am. Tighter lending standards has made a difference in the "flip" market. Lenders only finance 55 percent of the home's value. The "flipper" has to come up with the rest. During the subprime crisis, banks lent 80 percent or more. The number of homes sold today is 20 percent below the pre-crash peak. There's only a four-month supply of homes available for sale. As a result, about 64 percent of Americans own their own homes, compared with 68 percent in 2007. Home sales are lower because the recession clobbered young people's ability to start a career and buy homes. Faced with a poor job market, many furthered their education. As a result, they are now burdened with school loans. That makes it less likely they can save enough to buy a home. That will keep demand down. 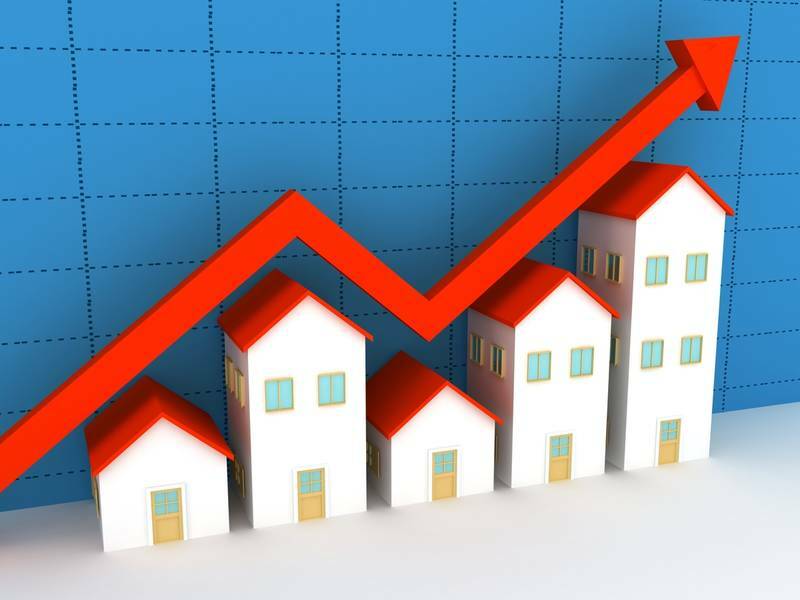 Home prices have outpaced income. The average income-to-housing cost ratio is 30 percent. In some metro areas, it's skyrocketed to 40 or 50 percent. Unfortunately, metro areas are also where the jobs are. That forces young people to pay more for rent to be close to a job that doesn't pay enough to buy a house. Thirty-two percent of home sales today are going to first time homebuyers, compared to 40 percent historically, says the NAR. Typically, this buyer is 32, earns $72,000, and pays $182,500 for a home. A two-income couple pays $208,500 on average. Homeowners are not taking as much equity out of their homes. Home equity rose to $85 billion in 2006. It collapsed to less than $10 billion in 2010. It remained there until 2015. By 2017, it had only risen to $14 billion. Obamacare is one reason for that. Bankruptcy filings have fallen 50 percent since the ACA was passed. In 2010, 1.5 million people filed. In 2016, only 770,846 did. Some people point that national housing prices have exceeded their 2006 peak. But once they are adjusted for 11 years of inflation, they are only at the 2004 level. Between 2012 and 2017, home prices have risen 6.5 percent a year on average. Between 2002 and 2006, they rose 7.5 percent annually. In 2005, they skyrocketed 16 percent. Homebuilders focus on high end homes. New homes are larger and more expensive. The average size of a new single family home is almost 2,700 square feet. That compares to 2,500 square feet in 2006. If you're among the majority of Americans who are worried, then there are seven things you can do to protect yourself from a real estate crash. Buy a house to live in, not to flip. Two-thirds of the homes lost in the financial crisis were second and third homes. When the sale price dropped below the mortgage, the owners walked away. They kept their homes, but lost their investments. Get a fixed-rate mortgage. As mortgage rates rise, your payment will stay the same. If this means you can only afford a smaller home, so be it. That's better than taking a risk and losing it later on. If you get a variable rate mortgage, find out what the interest rate will be when it resets. Calculate the monthly payment and make sure you can afford to pay it with your current income. Take the difference between that future payment and what you are paying today with the lower interest rate and save it. That way you will have the funds to pay your mortgage if your income falls. Buy the worst house in the best area you can afford. Make sure the area has good schools, even if you don't plan on having children yourself. Potential buyers will. You can always improve the house over the years if your income permits. Good neighborhoods aren't going to suffer as much in the next downturn as poorer areas. They will also bounce back quicker. Make sure your house has at least three bedrooms. That will attract families if you need to resell. The best way to protect yourself is with a well-diversified portfolio of assets. Diversification means a balanced mix of stocks, bonds, commodities and equity in your home. Most financial planners don't include home equity as an asset, but they should. It's the biggest asset most people own. To limit the damage of a real estate collapse, buy the smallest home you can reasonably live in. Try to pay off your mortgage early, so you don't lose your home in a downturn. Boost your investments in stocks, bonds, and commodities so they equal or exceed your home equity. If there is an asset bubble in housing, don't succumb to the temptation to refinance and take out the equity. Instead, revisit your asset allocation to make sure that it is still balanced.